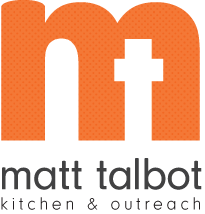 NOTE: As a matter of policy, Matt Talbot Kitchen & Outreach does not provide an estimated value of donated items. It is up to the donor to estimate the value for tax purposes. MTKO is a qualified non-profit corporation under section 501 (c) (3) of the Internal Revenue Code. Documentation can be provided upon request and can be evidence of your charitable donation. I am a Team Captain and this cost is an annual estimate of the cost of meals provided by my team in 2018. I completed this form as an individual team member/donor and will use the receipt as evidence of a charitable donation for income tax purposes. Thank you for your time, generosity and compassion! You may also download a copy of the In-Kind Donation Form below. Conpleted forms can be mailed to Sydne Wirrick-Knox, Matt Talbot Kitchen & Outreach, PO Box 80935, Lincoln NE, 68501. Questions? Contact Sydne at 402-817-0622.